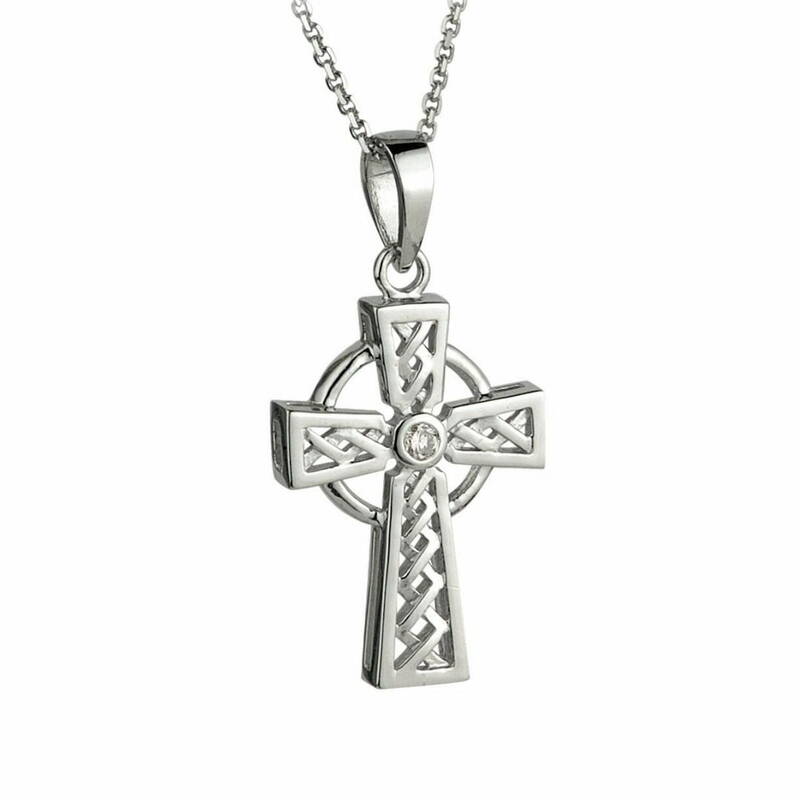 Traditional Celtic cross design cast is 14k white gold and set with round brilliant center diamond. Handmade Celtic Jewelry hallmarked in Dublin. Traditional Celtic cross design cast is 14k white gold and set with a 0.035ct round brilliant center diamond. Measuring 15mm wide and 30mm high (including bale), this pendant comes with an 18 inch 14k white gold chain. Presented in an elegant jewelry box, this guaranteed Irish hallmarked Celtic jewelry piece is shipped for free from Ireland.